A bedroom isn’t complete without a headboard. Fortunately there are a lot of great ideas for DIY western headboard alternatives so you don’t have to spend a ton of money to make an impact. If you opt to stay away from traditional headboards, statement art and decor is a good option. 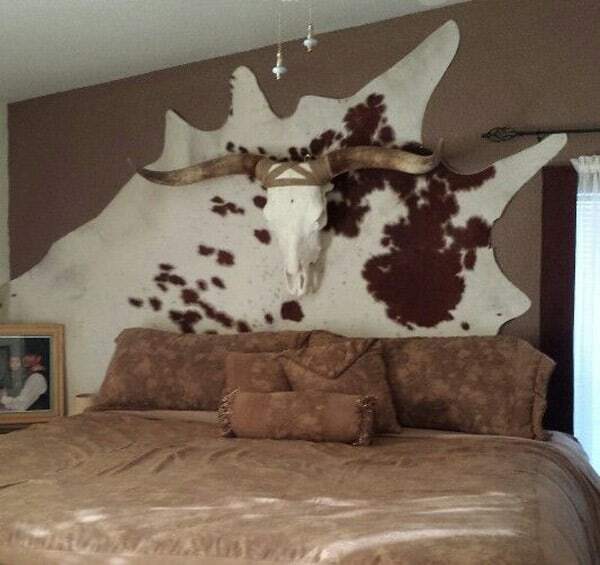 A cowhide rug is used on the wall and a cow skull ties it all together. No headboard necessary!